Open to juniors and seniors the program aims to provide students with greater insight into the European, Spanish and Catalan realities, while at the same time encouraging critical thinking. The program also includes courses in the area of global studies to encourage reflection on a variety of topics, while continuing to promote intercultural awareness and understanding in our increasingly globalized world. In addition to content-based courses in the disciplines of communication, humanities and the social sciences HESP includes language learning at all levels for students wishing to take a Spanish language course. All language courses are taught using the communicative approach to language learning and have been designed according to the Common European Framework of Reference for Languages (CEFR). Spanish language is not mandatory, although students are strongly encouraged to take it in order to gain the most out of their study abroad experience and to be able to participate in all levels of university life. The Spanish course carries 6 semester credits for 90 contact hours. Students wishing to take a Spanish language course must have taken at least one semester of Spanish at their home institution and take a placement test after arrival in Barcelona. In addition to Spanish language, students can choose from a range of content courses in the disciplines of humanities, communications and social sciences. Each course is taught for 45 contact hours and carries 3 semester credits. Courses are taught in English and Spanish. The International Business Program is jointly offered by the ESCI-UPF International Business School and the UPF Education Abroad Program. The program is aimed at undergraduate juniors and seniors with a major or minor in business who wish to acquire an international perspective and a better understanding of the successful management practices needed to compete in the global economy. The program is moreover designed to offer students insight into international business from a multicultural perspective and to improve their professional qualifications. UPF faculty thrive on working with international students interested in learning how to manage companies in the global economy and providing them with the skills and knowledge they need for a successful start to their business careers. All students who complete the ESCI-UPF International Business Program will be awarded a joint certificate from the ESCI International Business School and the UPF Education Abroad Program attesting that they have successfully completed at least two international business courses. The program includes courses taught in English and Spanish. Students wishing to take courses taught in Spanish should have completed at least four semesters of college level Spanish. Students usually take 4 or 5 courses in a semester. Each course is recommended for 3 semester credits. The International Management course is mandatory. Students must also take at least one of the following business program courses: International Finance, International Economics, Doing Business in Europe and Corporate Finance. Students can then choose their remaining two or three courses from the Spanish language courses, the HESP content courses, or the ESCI-UPF undergraduate course offerings. 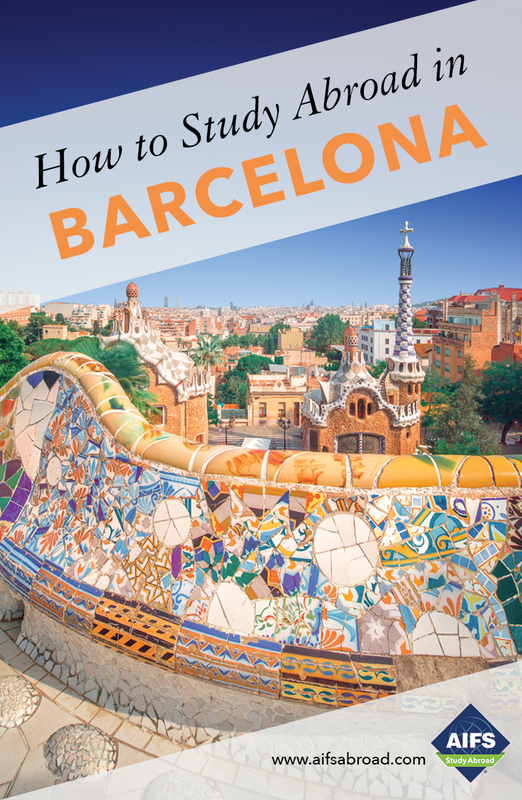 Students who wish to take a Spanish language course must have taken at least one semester of college-level Spanish and take a placement test after arrival in Barcelona. This program is designed for juniors and seniors students with an intermediate or above level of Spanish who are majoring in health sciences, medicine, biology, veterinary science, nursing, or any other health-related field and/or who are planning to apply to medical school after graduation. In today’s globalized world, more and more students seek to include international experience in their studies. This can be achieved by working alongside faculty and students from UPF’s prestigious Health and Life Sciences School. Key areas of study include: comparative healthcare systems, anatomy and embryology, physiology, public health, cellular biology, nutrition and food science, biochemistry, pathology and psychology. Students with a strong command of Spanish may participate in observation activities, as long as their language and other skills enable efficient communication with others in the experiential-learning setting. Students with a lower level of Spanish may participate in the experiential-learning activities in laboratories. Generally students take 4-5 courses including a mandatory course in Comparative Healthcare Systems in Spain and the U.S. Each course is recommended for 3 semester credits. Other available courses include Spanish for Medical Professions and Neurosciences for Humanities. Students can also take direct-enrollment health-related courses from various degree programs offered at the UPF Health and Life Sciences School in the fields of biology, biotechnology, bioinformatics, health, and medical science. These are direct-enrollment courses taught in English or Spanish. A 3-credit Research and Experiential Learning Component is also offered allowing students to intern in a UPF research lab. Students must have a minimum of 4 semesters of college level Spanish in order to participate in this aspect of the program. You can further build on your Spanish by taking Spanish language courses offered at all levels. For a supplemental fee of $3,995, students with at least four semesters of college-level Spanish can extend their semester and take an optional internship. Students shadow a local student intern at a hospital, community health clinic, or laboratory to gain first-hand experience of health-related professional practice in Spain. The clinical observation internship is a for-credit option intended to provide global health students with a chance to learn through both action and observation. It is supplemented with a seminar on intercultural competence to provide a framework for students’ learning and a forum for examining the cultural and technical issues that may arise during students’ internships. Students may also intern in a UPF research lab. UPF has a strong technical school that offers a wide range of courses taught in English. This specialized program is specifically tailored to the needs and profiles of STEM students, majoring in computer science, telematics engineering, audio-visual systems engineering, or biomedical engineering. It combines courses at the UPF Polytechnic School with independent research projects in technology, tutored by UPF faculty, while you are abroad. STEM students will be integrated into UPF not only through their classes but also through their participation in research projects alongside local students. Such sharing of different approaches to problem-solving is vital in an ever-growing, collaborative field, in which experiential learning is key. In addition to the benefits of studying abroad in terms of personal growth and development, an international learning and research experience adds considerable value with regard to STEM students’ future careers, as the related fields are increasingly global. (A) STEM track courses taught in English in disciplines including Audio-Visual Systems Engineering, Computer Engineering, Telematics Engineering and Biomedical Engineering. These are direct-enrollment courses taught at the Polytechnic School and are recommended for 3-credits. (B) Experimental Learning and Research including a research project for a recommended 3 semester credits tutored by UPF faculty and a (fall only) technical project management course at the School of Engineering for a recommended 3 credits. Students can also take a 6-credit Spanish course as part of the STEM program. Founded in 1990, UPF is a young, modern, public university which figures prominently in prestigious international education rankings and a rapidly growing student population of over 7,000. Specializing in three main fields of knowledge – social sciences and humanities, health and life sciences and communication and information technologies – it is the highest ranked university in Spain and the 15th in Europe according to U-multirank, the ranking system developed by the European Union. UPF is committed to offering an outstanding teaching model based on comprehensive education and student-centered learning and to sustaining a multicultural, multilingual campus with the three languages – Catalan, Spanish and English – used in all spheres of university life. The University model is based on a policy of being an institution that is open to the world, incorporating prominent national and international researchers.